NESCA has no affiliation with the organization marketing these CDs, nor do we benefit at all from their sale. We can, however, vouch for their production values, and for the real benefits to children of meditation, which our yoga therapist Hannah Gould, M.Ed., RYT routinely teaches to positive effect in her clinical practice. Downloads are $11.99; actual CDs are $16.99. Order them HERE. 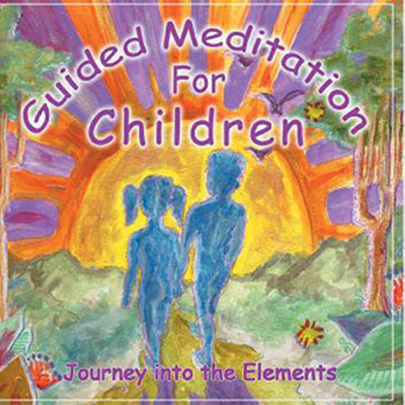 According to the producers, on this CD, entitled Journey into the Elements, "There are five meditations led by Chitra Sukhu corresponding to the five elements: earth, water, fire, air, and ether, and messages given by Mario Van Peebles." 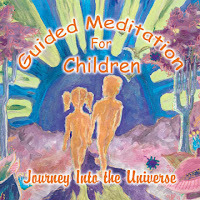 "Meditation encourages imagination and creativity, focuses the mind, increases concentration, resolves the issues that cause nightmares, helps with hyperactivity, brings about a sense of wholeness and opens the child to the inter-connectedness of the universe, It can help children deal with loss and develops a healthy sense of self." Deepak Chopra: "This is a beautiful meditation CD which will help children experience restful alertness and enhance their energy and creativity." 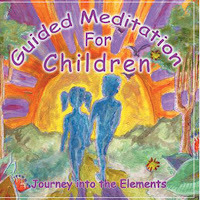 Again, the producers: "These meditations are wonderfully descriptive and magical, allowing children and adults access into the world of 'mind stuff'. Learn to control the senses as you become more aware of them. Take a journey from the ocean to the clouds. Create your world with the mind, as we journey to the realm of all possibilities. Realize the Self as you melt into bliss, the world your creation, your playground; then drift off to sleep on a cloud of music, taking you to the source... the beginning of time."